With The Walking Dead returning to our screens next week, we decided to scour the internet wasteland for tasty facts about our favourite gang of survival experts and the brain munchers who follow them. Share your own trivia in the comments! Despite becoming possibly the most popular character of them all, Daryl Dixon wasn’t actually supposed to be in The Walking Dead. He doesn’t make an appearance in the comics that spawned the show, and neither does his brother Merle. Merle was created for the show, and it was for this role that Norman Reedus originally auditioned. He was unsuccessful, but the team behind the show decided to give Merle a brother, Daryl, for Reedus to play. The opening credits ‘decompose’ from season to season, presumably to mirror the ongoing decay of everyone’s favourite flesheaters. In the first season, the walkers look relatively fresh and healthy (for shambling corpses, at least). By the 5th season, they look distinctly more grey and rotten, which makes sense seeing as 2 years are supposed to have passed. Seasons 1 – 5 of The Walking Dead take place over 2 years, which means Carl has aged from 12 to 14. However, 5 real years has passed since the first season and the actor playing Carl, Chandler Riggs, is now 16. At the current rate, Chandler Riggs will be 21 playing a 16 year old. If the show goes on for another 10 years, he’ll be 26 playing an 18 year old. Although, it’s worth bearing in mind that Carl’s stunt double is actually a 30 year old woman, so maybe it won’t be a problem after all. …but he’s only referenced in conversation. In a conversation between Daryl and Beth, the younger Dixon brother describes a drug dealer who sounds an awful lot like Jesse. 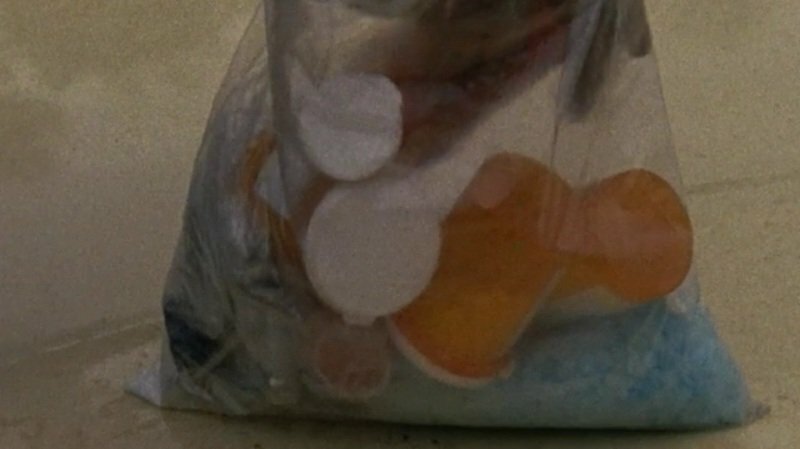 Daryl also pulls out a bag of crystal blue drugs – Heisenberg’s speciality. Here’s a shot from the episode. It’s more than likely a cheeky reference as The Walking Dead and Breaking Bad both aired on the same channel, especially as Jesse’s home state of New Mexico is nowhere near Georgia, where The Walking Dead is set. But there’s a real possibility that zombies take over the earth shortly after the end of Breaking Bad, which means there’s a chance the gang may meet a zombie Walter White one day. Yep, the network behind Game of Thrones, a show with more blood than a donor bank, decided The Walking Dead was too violent. Blimey. According to this infographic, the gang has killed 739 walkers between them. Daryl is the top killer with 142, while Rick is close behind with 137. Surprisingly, Glenn is 3rd ahead of Michonne. 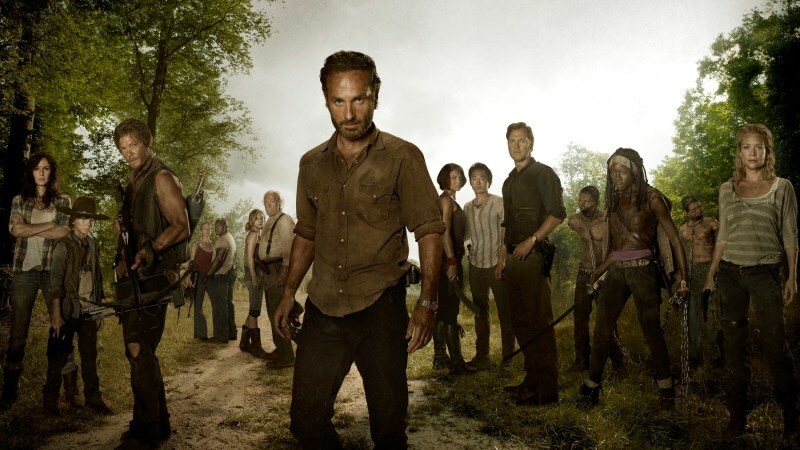 They still have a way to go before they rid the world of zombies, though; show creator Robert Kirkman claims there are 5,000 walkers for every 1 person alive. It turns out playing a zombie is a lot harder than it looks. On top of all those hours in make-up, extras also have to go to ‘zombie school’, where they learn how to walk, move and eat like a zombie. It’s basically etiquette classes for the undead. 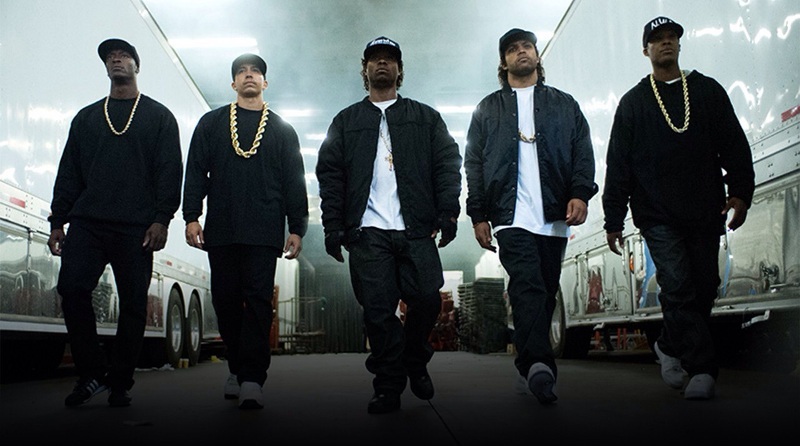 Well, the actors who played them in Straight Outta Compton at least: Neil Brown Jr, who played DJ Yella, appeared in Season 1; Aldis Hodge, who played MC Ren, appeared in Season 4 as Michonne’s pre-apocalypse boyfriend; and Corey Hawkins, who plays Dr. Dre, will appear in Season 6 as Heath. Surely O’Shea Jackson Jr will show up as a zombie Ice Cube at some point? If you’re looking a fast way to make cash for zombie apocalypse survival essentials, sell boxsets with musicMagpie! We now pay on the same day we receive your stuff, with the cash clear and ready to spend the next day. Click below to start selling.